This magnificent triple storey face brick home will be the envy of your friends and family. 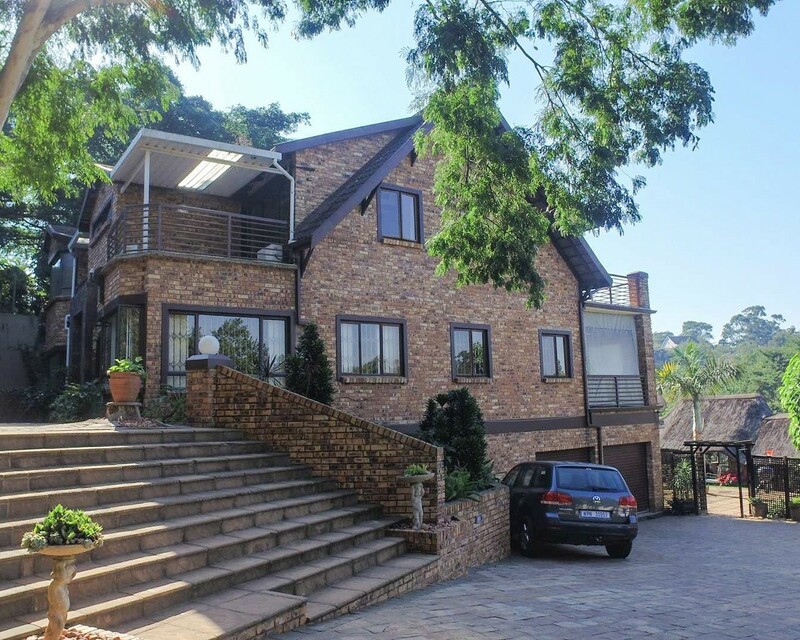 Situated in the leafy upmarket suburb of Padfield Park is this amazing dream home, fully air-conditioned with its top of the range finishes and 3 covered entertainment areas to choose from. Gourmet style kitchen with granite surfaces, Ceran gas hob & double eye level oven. Open plan dining room with 2 lounges leading onto fully tiled and covered balconies with security gates for those balmy summer evenings. The downstairs office has built in cupboards and shelving to suit every need or it can be used as a 3rd lounge or games room plus it has its own guest toilet and basin. Each double bedroom has its own covered balcony. The 2 full bathrooms are modern and neutral and there are 2 guest toilets with basins. Pub room leads out to pool and the massive thatched Lapa overlooking the manicured park like garden with its magical outlook, established trees, water feature and abundant bird life. Full staff accommodation and store-room with wooden hut for storage. The BONUS is the modern fully tiled granny flat with its own driveway and entrance. This home is fully secured and alarmed with automated gate and intercom. Double automated tiled garage with loads of storage. This property is in pristine condition and must be viewed by appointment only, so if you think you will qualify, then give me a call to view today.